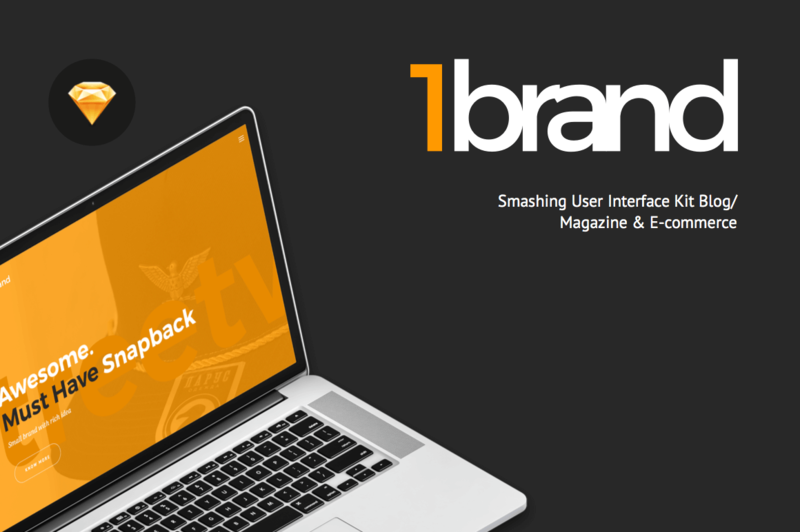 Introducing OneBrand UI Kit. Stylish kit with bold typography and hundreds clean elements in 10 different categories: e-commerce, blog, headers, footers, navigation, widgets, post, forms, base elements and sample pages. The story of this UI Kit begins from creating some UI elements for streetwear brand «Larus». The main goal was to show how snapbacks and t-shirts are awesome. Every brand must have strong and fresh visual identity, and we decided to make the complete UI Kit for blog/magazines and e-commerce projects of such format.